In January, Shakespeare at Notre Dame will kick off “SHAKESPEARE: 1616-2016,” a yearlong series of performances, conferences and special events commemorating the 400th anniversary of William Shakespeare’s death and his legacy. “Act One” of the celebration includes events slated during the University of Notre Dame’s spring semester, which runs January through April. “First Folio! 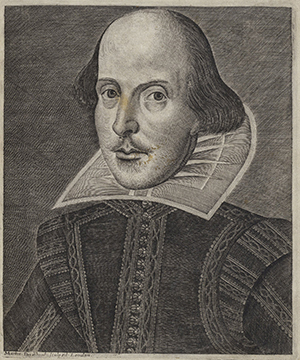 The Book that Gave us Shakespeare,” a national exhibition and tour curated by the Folger Shakespeare Library, opens in January at the University of Notre Dame. “First Folio” is a 50-state tour and exhibit of Shakespeare’s 1623 First Folio, the first published collection of 36 of his plays and one of the world’s most treasured books. Notre Dame marks the official first stop of the First Folio national tour and serves as the sole Indiana venue for the exhibition. The exhibition, which runs Jan. 6-29, will be housed in the Rare Books and Special Collections gallery of the Hesburgh Library. Select Notre Dame Shakespeare holdings will also be on display and curators will offer daily, guided tours. The First Folio exhibit and Notre Dame’s year-long celebration officially launch at 16:16 (4:16 p.m.) Jan. 6 with the ribbon-cutting ceremony in the Hesburgh Library’s new North Entrance Gallery. Shakespeare at Notre Dame, the Hesburgh Libraries, the Robinson Community Learning Center, noted Shakespearean scholars from the College of Arts and Letters and members of the Actors from the London Stage company will host a diverse slate of events, including the Folio Friday Lecture Series, theatrical performances, special displays, and school workshops for more than 1,200 area youth. Special guest Michael Witmore, director of the Folger Shakespeare Library, will officially close the exhibition with a lecture at 4 p.m. Jan. 29. Actors From The London Stage (AFTLS), a five-member British company touring university campuses from Massachusetts to Hawaii, will present “A Midsummer Night’s Dream” at 7:30 p.m. Jan. 20-22 and Jan. 29 in Washington Hall. Founded in 1975 by veterans of the Royal Shakespeare Company — including Sir Patrick Stewart, Tony Church, Lisa Harrow and Bernie Lloyd — AFTLS celebrates its 40th year in 2015-16. The company has been based at the University of Notre Dame since 2000. Two international conferences on campus are scheduled as part of the celebration. The second iteration of 2013’s Shakespeare in Prisons Conference, titled, “Shakespeare in Prisons: In Practice,” will bring arts practitioners from around the world to Notre Dame Jan. 25-27 for three days of plenaries, panel discussions and active workshop training by some of the most noted figures in the field of Shakespeare and social justice. Participants will be given an opportunity to learn techniques for approaching incarcerated and nontraditional populations. The close of the “Shakespeare in Prisons: In Practice” conference will also serve as the opening for the 26th annual Conference of the Shakespeare Theatre Association (STA). Attended by more than 120 artistic, managing and education directors from theater companies across the globe, the annual STA conference serves to foster a spirit of collaboration and innovation in the collective approach to the production of Shakespeare’s plays for modern audiences. Plenaries, panel discussions, breakout sessions and special performances will seek to broaden the conversation about what Shakespeare means in contemporary society, 400 years after his passing. “We Are Shakespeare” will invite the general public to upload short testimonials and performances focused around the impact Shakespeare’s universal themes still have on 21st-century society. Complementing this will be “400 Dreams: Shakespeare Across the Globe,” which will catalog and highlight the hundreds of varied Shakespeare-related events around the world commemorating the 400th anniversary of Shakespeare’s death. Both sites, housed at WeAreShakespeare.nd.edu, will go live on Wednesday (Jan. 30) and will be accepting submissions throughout 2016 before becoming permanently archived within CurateND, in partnership with the Hesburgh Libraries. In April, Shakespeare at Notre Dame partners with both the South Bend Symphony Orchestra and Opera Notre Dame in bringing Shakespeare’s works to music. On April 16, the South Bend Symphony Orchestra will present “Romeo and Juliet” as part of its Masterworks Series at the Morris Performing Arts Center in South Bend. The concert will feature the works of Tchaikovsky, Gounod and Prokofiev, interspersed with performances by actors from Shakespeare at Notre Dame. From April 21-23, Opera Notre Dame will present a world-premiere adaptation of “As You Like It” in the Patricia George Decio Theatre in the DeBartolo Performing Arts Center at the University of Notre Dame. Call 574-631-3777 or visit shakespeare.nd.edu to learn more about all of the above events. Additional events will be added to the calendar in the summer and fall. Originally published by Notre Dame News at news.nd.edu on December 28, 2015.